Last weekend my friend invited me to the JAMsj (Japanese American Museum of San Jose) Winter Boutique. There was a lot of "arts and crafts" stuff like homemade cards, jewelry, and pottery so I used the opportunity to buy Christmas presents. Well... being a guy, I finished checking out the boutique in about 15... maybe 30 minutes. That's about the same time it took my friend to browse one or two vendors. In other words... I had some time to kill. There was a family who specialized in books written by Japaneseauthors, so I decided to hang out in their booth while I waited for my friend to try on jewelry and clothing. 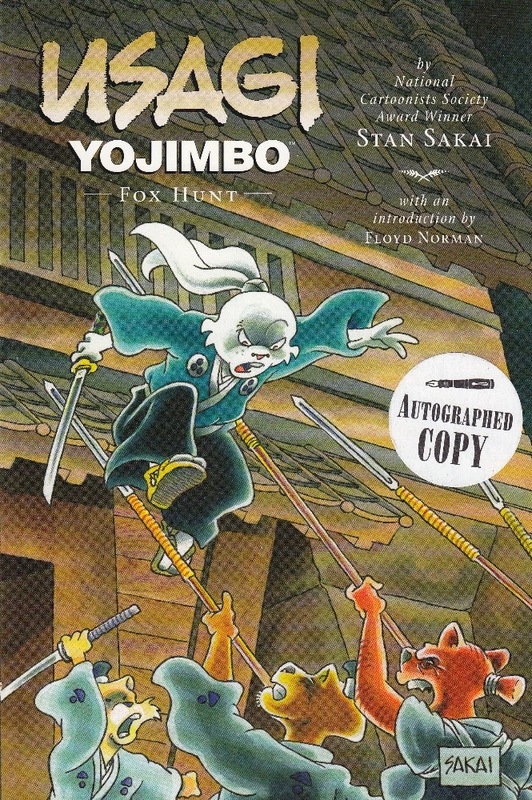 They had a bunch of cool Manga books... including several that were autographed by the authors. 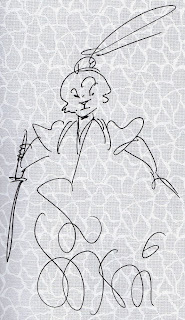 Is this signature awesome or what? 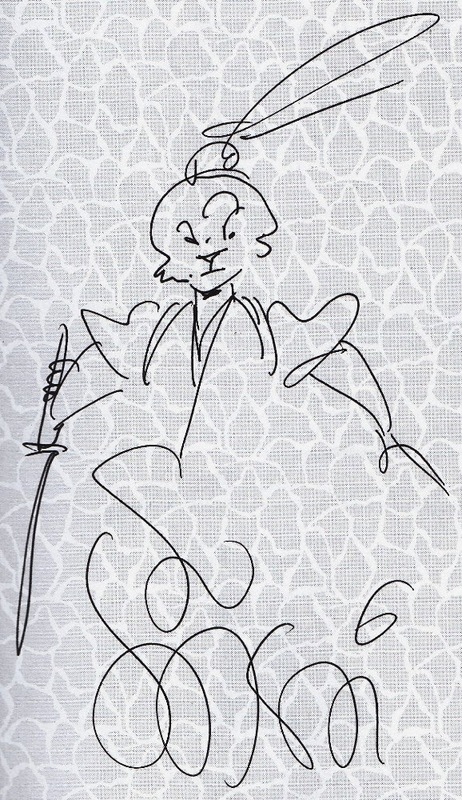 It's a quick sketch of Miyamoto Usagi along with Stan Sakai's standard autograph. If you're not familiar with Mr. Sakai, he's the creator of Usagi Yojimbo... a comic book series that tells the tales of a rabbit ronin who is walking the musha shugyo (warrior's pilgrimage). I have two more (unsigned) that I just ordered off of Amazon. I look forward to finally reading this series. Who do you think has the coolest signature? What are your favorites? All times are GMT-5. This page was generated at 11:24 AM.